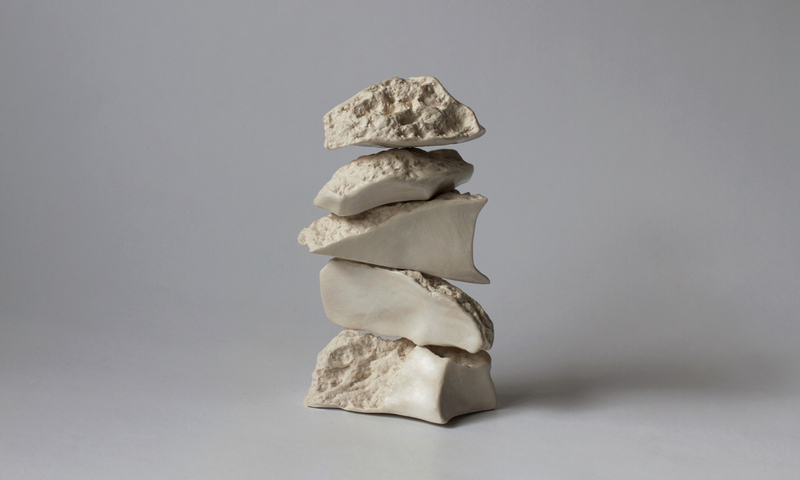 Handbuilt china porcelain, glaze, variable dimensions (collective average 7x9x22cm), 2015. Marker was produced at a Listhús Artspace residency, Ólafsfjörður, Iceland (November - December 2015). Marker is a series of work influenced by my time spent as a resident artist at Listhús Artspace in a small town on the north coast of Iceland. Primarily, the forms I have created are in response to the natural landscape surrounding Ólafsfjörður, which is non-comparable to anything I’ve seen before. 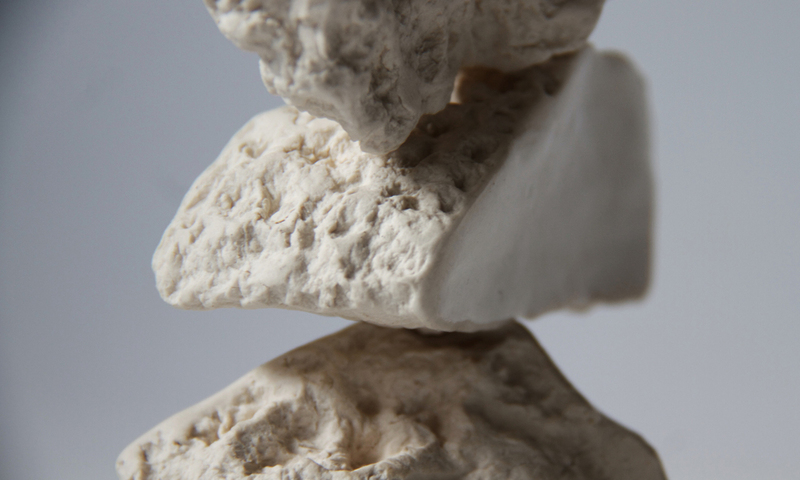 During my residency, I developed an interest in the vörður (manmade stacks of small rocks), which I found along various hiking trails and at the summit of two separate mountains. For centuries, these stacks have been used as directional markers for travellers, while simultaneously acting as symbols of individual and collective achievement. Marker presents the dichotomy of a personally calming, reflective period of time against the precarious and harsh conditions experienced via an unpredictable climate.